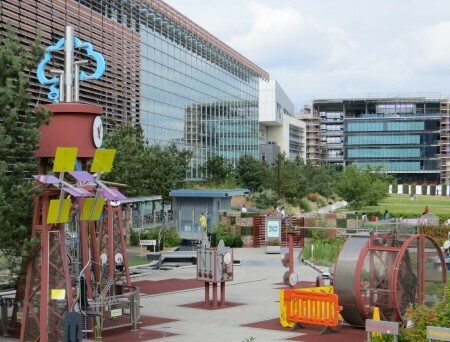 Did you know that you can pick up FREE entry to Birmingham Thinktank’s Science Garden if you visit after 3pm each day? 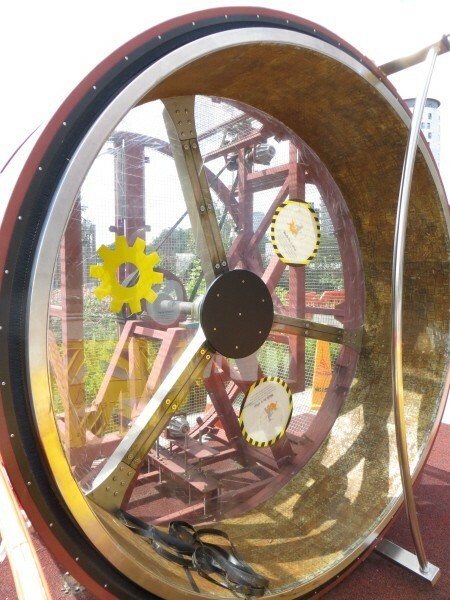 The Science Garden is a stand-alone attraction that goes down well with children of all ages packed with interactive exhibits, (my favourite has to be the human-sized hamster wheel). Keep an eye on the weather and enjoy an afternoon visit to this outdoor attraction without spending a penny! At select times of the year, Birmingham Thinktank teams up with research projects running at Birmingham University to offer free entry to those willing to participate in research work. Whilst criteria is selective, the participating child & 1 accompanying adult can gain free entry to Birmingham Thinktank for the day. Often the research project is nothing more onerous that simply answering questions or playing simple games. We’ll let you know if this offer runs later in the year. TOP TIP; explore our Thinktank Science Garden; Tried & Tested Guide packed with tips & tricks to help you make the most of your visit. Travel by train on the day of your visit & you can take advantage of a 2 for 1 voucher for the Birmingham Thinktank. Simply download a voucher and present with your train tickets on the day of your visit to gain reduce priced tickets. More details available at Cheap Tickets to Birmingham Thinktank. Each year, Birmingham Thinktank offers FREE entry to children, 13-19 years, as part of the Kids In Museums Takeover Day that takes places every November. Those age 13-16 years can visit the museum unaccompanied too if an adult has completed an under 16’s registration form. We’ll bring you more details if this runs again. You can redeem your Tesco Clubcard Vouchers against admission charges at Birmingham Thinktank. Each £2.50 in clubcard vouchers can be redeemed for £10 off entrance charges so for regular Tesco shoppers this can be quite a saving. You also have the option of part or full payment for complete flexibility. In previous years students could pick up annual membership that included the Birmingham Thinktank & other Birmingham heritage for just £10pp. Whilst this offer is not currently available, we’ll let you know if this runs again this year. 1. Picnics are welcome at Birmingham Thinktank where you’ll find an extensive indoor lunch area on level zero for your convenience. Make use of the free cloakroom located close the Thinktank entrance, (whilst this is an unsupervised area it does offer an area to store non-valuable items). 2. Lockers are available for use that are located by the indoor water play area on level 2. You will need a £1 coin, (refundable), to operate the lockers with ample space for picnics & bulky belongings. 3. The Planetarium is included without your ticket price & can become full quite quickly on busy days. Worth checking out the times of the planetarium shows and making your way to the area prior to show start times to avoid disappointment. 4. Worth packing some spare clothing for this setting as there are both indoor & outdoor water play features that most children quickly make a beeline for. 5. Remember that the Science Garden is open to the public for FREE from 3pm each day. 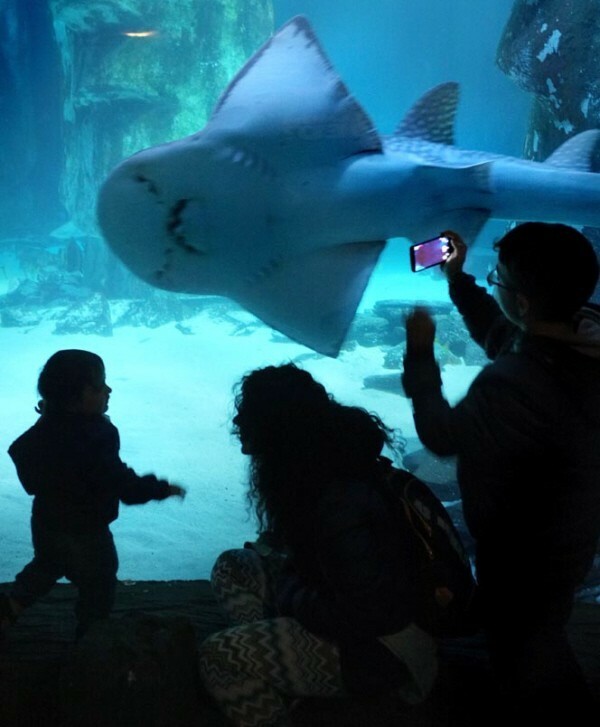 Follow our SEA LIFE Birmingham Cheap Ticket Guide packed with vouchers, codes and deals to help you save time and money! This entry was posted on Wednesday, January 10th, 2018 at 10:15 am	and is filed under . You can follow any responses to this entry through the RSS 2.0 feed. You can skip to the end and leave a response. Pinging is currently not allowed. Hi Pamela, try this 2 for 1 voucher for Birmingham Thinktank from Visittheheart that is available to all. I have visited previously and the group of children I brought ,loved their experience. I am now looking to bring a different group so would like these questions answered, thanks. I want to bring a young person in a wheel chair. Are all areas accessible by wheel chair? Have you got disabled changing facilities with a hoist for lifting ? Hi Val, I have to agree, I’m a big fan of Birmingham Thinktank too. Just to let you know that Topdogdays is independent of Birmingham Thinktank, (we simply let you know where the deals are), but you can find more details regarding accessibility over at Birmingham Thinktank if you download their Access Statement. I took my two eldest boys to The Think Tank probably 10 years ago…. we had an amazing day out. I am taking my youngest tomorrow and I just hope he enjoys it as much. Hi Hillary, I have to say I’ve always found the Think Tank to be a winner every time so hope you have a good day tomorrow. Do let us know how you get on & look out for the outdoor science garden too that is now part of the Think Tank too. Please keep me updated on thinktank offers. Probably the best way to keep up to date with Thinktank & other visitor attraction offers is to subscribe to our newsletter. We tend to send out an email weekly/fortnightly with the latest deals & discounts. Follow our round up of deals, discounts and 2 for 1 vouchers running a SEA LIFE Centres around the UK. Our round up of current deals & discounts running for Drayton Manor Theme Park including online promotions and 2 for 1's.